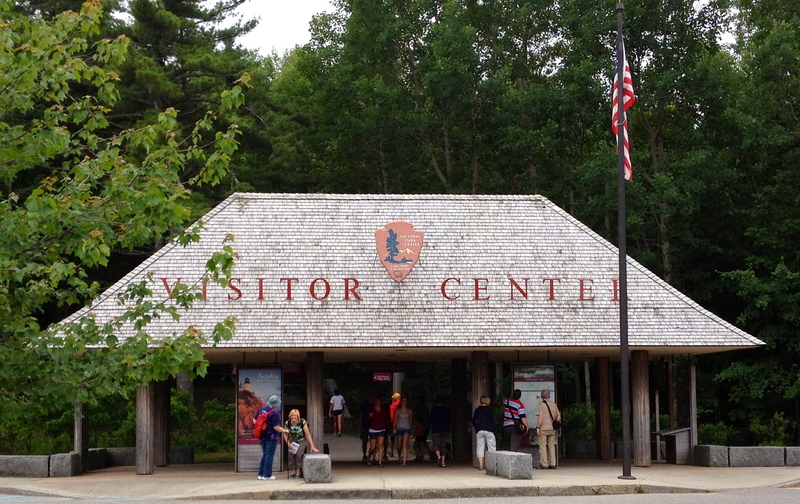 Acadia National Park on Mount Desert Island in Maine is one of our favorite destinations. It is only an hour or so from our home and encompasses beautiful mountains, ocean shoreline, woodlands and lakes. In addition to numerous hiking trails there are more than 50 miles of “carriage trails” where you can ski, walk, run or bike depending on the season. Each season brings it own unique beauty to the park, although we have mostly avoided it during summer when well over a million visitors descend on Maine’s only National Park. They come from all over the world arriving by plane, car, and even by boat and cruise ship. It can get quite chaotic. We decided to make an exception to our summer travel ban and strapped our new hybrid bikes on our Thule rack, put the dog in the back, and drove the 60 miles or so to Acadia. I have been training my Australian Cattle Dog to run along side my bike on a leash and wanted to see how she would do on the carriage roads. We parked the car on the side of the road as the parking lots and both sides of Route 3 were already filled with cars, trucks and vans sporting bike racks. I’ll admit to being a bit nervous about how my little dog would handle the crowds. I needn’t be. Once we got on the carriage road near Eagle Lake, she happily matched the pace of my bike and watched as others passed us in both directions. Most were on bikes but other walked or ran. Some even had their own dogs on leashes. The summer people smiled, waved, or shouted greeting as they passed, clearly enjoying what for many might be their only time on the carriage roads. It made us feel lucky that we have access to this beautiful park all year round. This entry was tagged Acadia National Park, bikes, Carriage Road, Maine, Mount Desert Island, Summer People. Bookmark the permalink. « Can you ever have too many boats?